As the starting point of the new Canada Line rapid transit route built for the 2010 Winter Olympics to connect Vancouver's downtown to the international airport and Richmond, the YVR-Airport Station features the largest green wall in North America, sweeping west coast views, and a direct connection to the city of Vancouver. The YVR-Airport Station is all about connections. 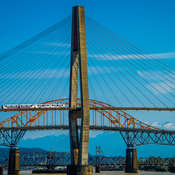 This is one of the first impressions visitors get of British Columbia and Canada by not only getting people to and from Vancouver quickly and safely, but to connect them emotionally to the city and the entire Province. 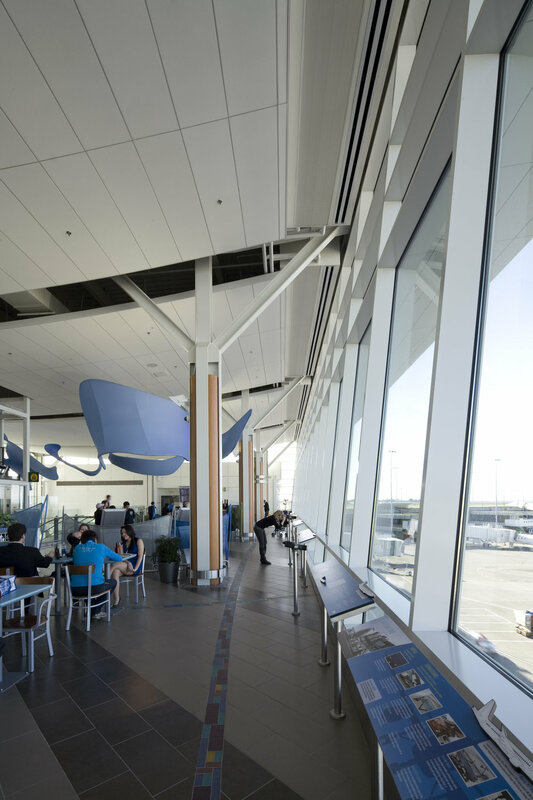 Wrapped in structural glass, the station platform reinforces visual connections between the land, sea, and sky of B.C. 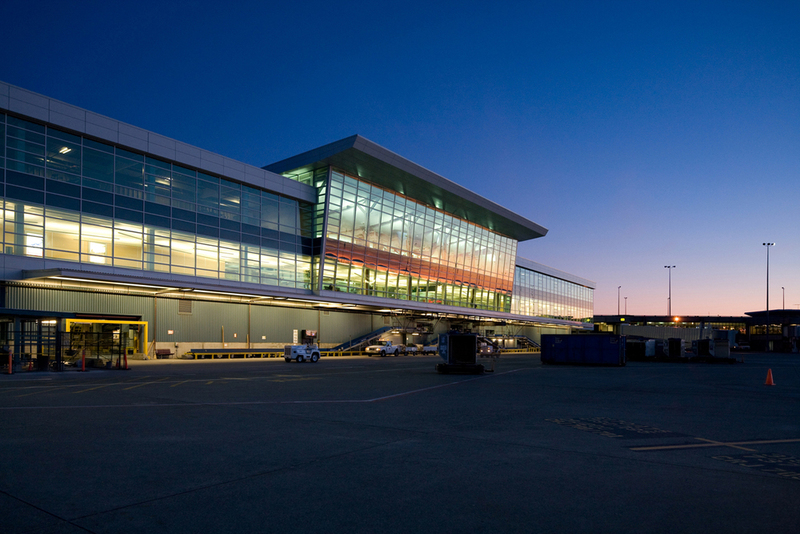 - the key elements that make up the Vancouver Airport Authority’s (YVR) thematic master plan. The $25 million YVR Airport Station sits 18m off the ground straddling Grant McConachie Way, the main roadway in and out of YVR. From the platform visitors can see across the main airport runways to the North Shore Mountains. On the north side of the building, a 18m high and 12m wide green wall offers a living gateway for passengers entering the YVR-Airport Station. The wall is composed entirely of local flora. 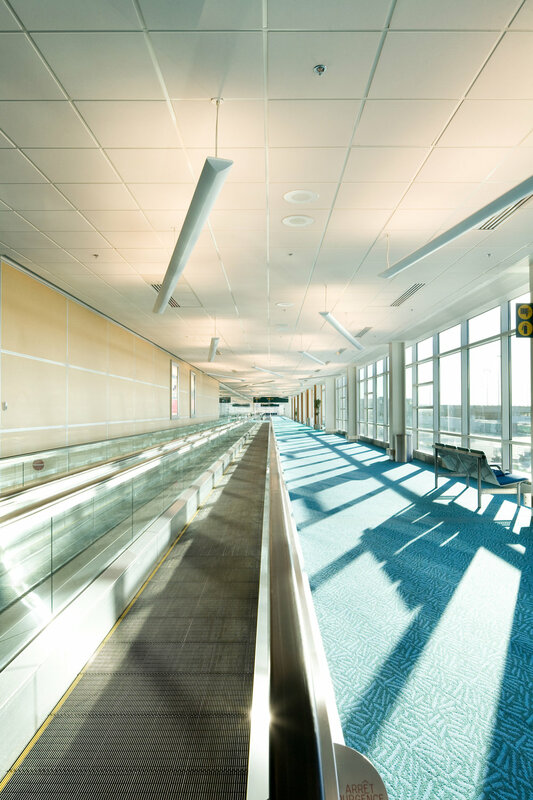 The Hold Bag Screening Expansion (HBS) + Level 3/4 Domestic Terminal Expansion represents a key strategic expansion element of Vancouver International Airports 20 year master plan. 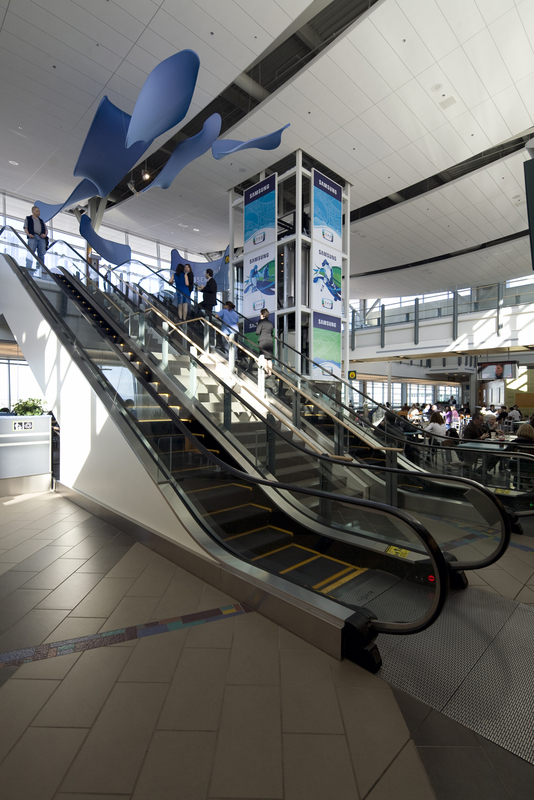 The Hold Bag Screening expansion brought the airport into elevated compliance with CATSA standards for airport security. The project entailed a complete overhaul of the baggage system through a design-build process with system manufacturers, integrating new CTX scanners, significant upgrades to airport infrastructure including redundant power, seismic upgrades, fire suppression, and mechanical systems. The Level 3 / 4 Expansion was an addition over the HBS effectively expanding the customer service amenities in the Domestic Terminal and providing expanded corporate airport offices. Both these integrated projects were initiated to service the Vancouver 2010 Winter Olympics. 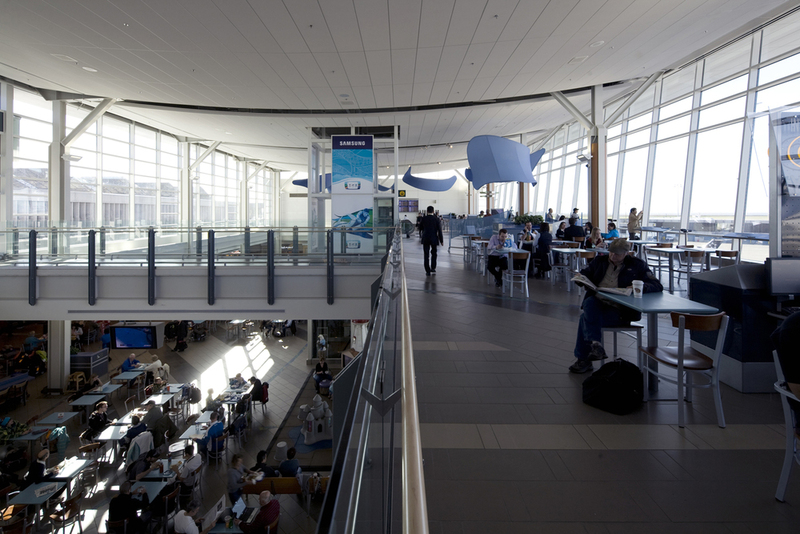 The Level 3/4 Expansion created a new sterile corridor connecting the Domestic Terminal to the International Terminal, a food court and airside observation area with an interpretive centre and increased public service amenities and retail. British Columbia, Canada. The line is owned and operated by TransLink, and links the cities of Vancouver, Burnaby, Coquitlam and Port Moody. The line was opened in 2002 and was named in recognition of the new millennium. Combined with the original Expo Line, these two segments were significant catalysts for urban development and growth. As one of four segment coordinators during the Alignment Planning and Station Location Phases, Vaughan Hoy acted as the segment coordinator for the engineering and architecture consultants and disciplines for the New Westminster segment, reporting to the provincial Rapid Transit Project Office (RTPO). 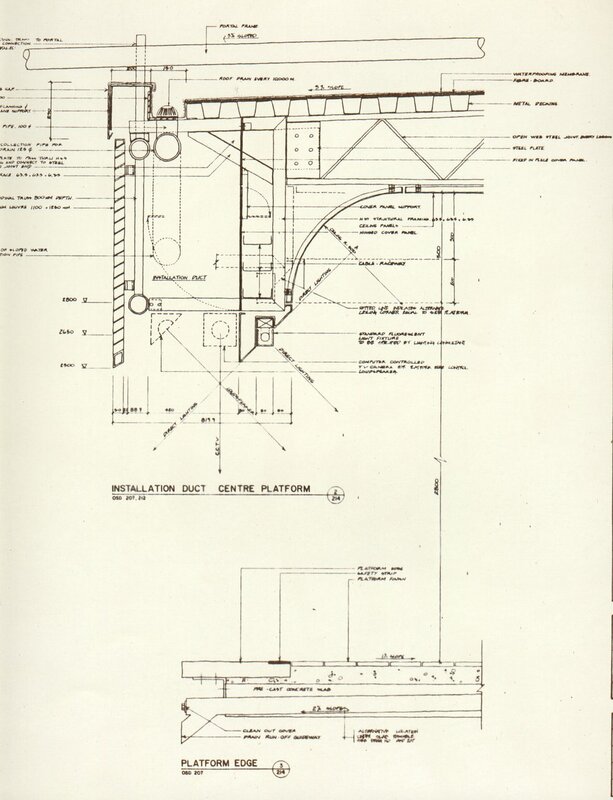 The Millennium Line broke from the Overall Systems Design architectural approach to station design and through an invited architectural competition process, commissioned unique station designs for each station in each urban area. This planning approach created significantly greater neighbourhood fit and response in station architecture. As part of this approach a Public Art Program and call for artists was developed with unique commissions being part of station environments. 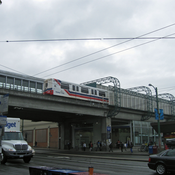 The Expo Line is the original flagship LRT line designed for the Vancouver Transportation Expo 86. The line connects Waterfront Station (and SeaBus) in Vancouver to King George Station in Surrey, British Columbia, principally along a route established by the Westminster and Vancouver Tramway Company as an interurban line in 1890. 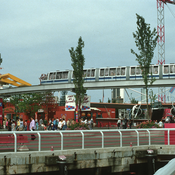 The Expo Line (originally referred to as simply "SkyTrain" until the opening of the Millennium Line)was built in 1985 in time for Expo 86. This line now has 24 stations. Initially the line only ran as far as New Westminster station, and in 1989 it was extended to Columbia Station. In 1990 once the SkyBridge was finished, it continued across the Fraser River to Scott Road station in Surrey, BC. Allen Parker & Associates were the overall Alignment and Station Location planners and Urban Designers for the system, at the time for BC Transit. Of the original compliment of stations the firm designed nine stations with the remainder being commissioned to other architectural firms. The Overall Systems Design for stations and architectural aesthetic was greatly influenced by the new and highly successful U-Bahn Line of the time in Vienna, Austria. Architecton UBahn became sub-consultants to Allen Parker & Associates as part of the overall systems design team. This is where the original ideas for system architecture, structure (iconic hoop truss architecture), system furniture and industrial design components originated. The early architecture of the stations has been renovated, however the design attitude to 'system design components' prevails as repetitive station elements for transit design and economy.